Epic updated the latency calculation method in 7.30, but its behavior was unexpected. 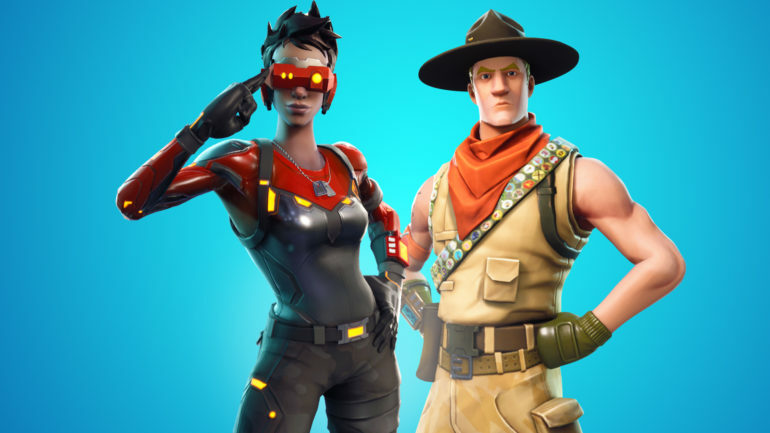 Players may have noticed their connection information in Fortnite: Battle Royale is behaving weirdly since the v7.30 update went live yesterday. Some said their connection latency to the server was being registered as a ping of zero, or that a message saying their connection was lost popped up under good network conditions. This behavior was caused by a change developer Epic Games made to the game’s method of calculating a player’s ping in 7.30. The company announced it reverted the change, but it also explained briefly why it changed this calculation and why the weird behavior happened. Epic said the ping values shown before the update were sometimes higher than the number that would represent the player’s latency accurately. The company implemented a new way of calculating ping to ensure players saw exactly how good or bad their connection to the game server was, while also seeing a “Connection Lost” message on the top of the screen when under poor network conditions. But Epic has confirmed some unintended behaviors in this system. “We’ve seen your reports that the ‘Connection Lost’ message is displaying even under good conditions, that some players are seeing pings values of zero, and that FPS can have a direct effect on the displayed ping value,” the company wrote. It seems that an early hotfix to this issue would be lacking a real solution, so Epic reverted the 7.30 network information changes to “polish out the remaining kinks before adding things back in.” This should have no effect on players’ connections to the Fortnite servers, just in the way this connection is represented to the user. Epic will publish a blog post soon explaining the issue and the solution in detail soon. Until then, players might have to get used to the previous broken connection information instead of the new one.